Happy Friday! In celebration of the end of another work week, we're bringing you two contests that end in free food and booze. 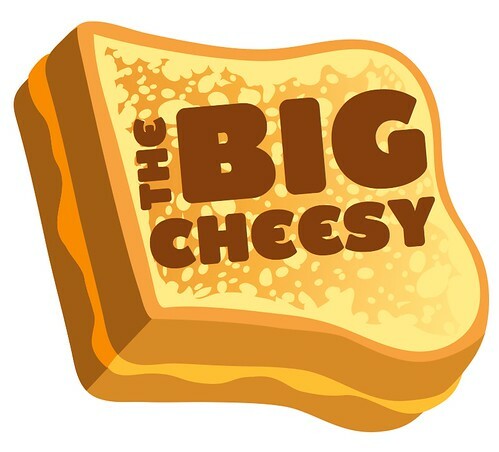 So, without further ado, may we present the Big Cheesy? In two weekends--March 23rd and 24th--seven of the cheesiest grilled cheese makers will converge on Openhouse Gallery (201 Mulberry St) and compete for most deliciousiest cheesiest grilled cheese of them all. And we've got a pair of tickets to give away. Simply email us at blondieandbrownie at gmail (the button on the left) with the subject "Big Cheesy" and next Friday morning, I will have Random.com pick a winner. If you want to make sure you can go to the Big Cheesy without Random's help, click here for tickets--it's only $25 a pop. Now the second contest has a dinner at Pok Pok NY up for grabs. See Chef Andy Richter is giving an interview next Thursday evening at General Assembly--it will be live streamed and anyone can ask him questions via the interwebz--but two pairs of lucky ducks will be able to watch the live-stream privately and then have an all-expenses paid dinner at Pok Pok NY. Not too shabby. And all you have to do is drop your email on this page to be entered. Get on this one because the drawing's on Monday. Plus, you know you want a free dinner. Oh, Book Signings Isn't ALL! One Week Until Our Book Pubs! Oren's on Waverly is Expanding! !